In all Wiccan circles but one, the High Priest and High Priestess will bless the cake and wine. Only as Wiccans marry does this convention turn to someone else. 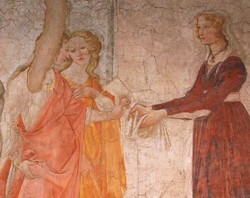 It is the bride who blesses the food and drink. She shares it first with her groom, who adds his blessing too. Then this symbolic meal is distributed amongst all who came to witness the ceremony. The bride has become Bride, Goddess incarnate, and all the honor belongs to Her. Thus even the High Priestess will bend her knee and ask for a blessing in that place. Every woman wants to feel like a Goddess on her wedding day. In Wicca, that quite literally becomes the case. I usually announce it, because there's a strong likelihood of non-Pagans amongst those watching. They may not know that a deity now stands before them. "(Woman's name), you have become Bride. You are the Goddess in human form here with us today. You have taken on the aspect of The Lady at this time of handfasting. I thank you for your blessings here today." If the people around look confused, then the statement is made more blatantly. No-one at a Pagan wedding ceremony is ever left not knowing what's going on. But what follows is always the same in outcome, though the actual words or ritual may change from handfasting to handfasting. The High Priest and High Priestess may draw the pentagram in the air over the rite's food and drink. But they are merely preparing them. The actual moment of consecration comes with the touch of the Bride. She may speak some words of blessing. She may merely hold the chalice, then the plate, often in tandem with the groom, as they will be handfast by now. She will take a sip, and a bite, then feed them to her husband. The whole stack of cakes and bottle of wine is equally consecrated. It's handed around to those witnessing the marriage. This part will be perfectly orchestrated. It has to be, so that it doesn't disrupt the circle before it's been taken down! Often the couple will take the chalice and cakes and move around the circle. They will personally invite all to share in the bounty. The guests are encouraged to ask for a more direct blessing too. The Bride is the Goddess Incarnate. You don't get opportunities like that very often. If all those present are actually inside the circle (and the Bride's dress is impractical for much moving around), then it could be a case of forming an orderly queue. The guests come to the center of the circle, take their food, drink and blessing, then return to their position. Otherwise, it could all be even more inclusive than that. The Bride blesses a whole group of assistants (this is a great role for children), who then disperse around the circle to pass all on in Her name. A final variation is exactly the same, but it's the High Priest and High Priestess who perform this role. The stated intent for all is unaltered. The Bride is the Goddess and She is the one adding true divinity to these proceedings. But where did that come from? And why not the groom too? The sharing of food and drink has become such an important element of the handfasting that couples often splash out on an ornate chalice. This Irish Mother Goddess is known by many names. 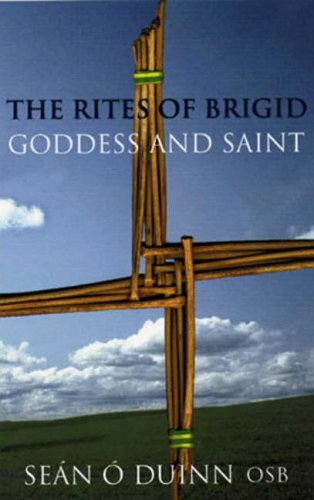 She's Brigid, Brighid, Brigitte, St Brigit and, well, Bride. It's a snippet repeated time and time again by High Priestesses at each handfasting. The Lady before us isn't just any old Goddess. She is wearing the aspect of the Goddess Bride. I say it, when I officiate. I learned to say it from those who initiated me. I've heard those who followed me say it at handfastings. Insofar as traditions can be static in a Pagan wedding, then this is a strong one. When it was taught to me, it was alongside the speculation that all brides are so called because of Bride. It was borrowed from the Pagan religions by Christianity. I was equally told that the groom is so named because he's a link to the Horned God - the leader of all wild things. However, I'm always keenly aware of the propensity of my Wiccan forebears to make stuff up or misunderstand history, in order to present Wicca as a solid continuance, rather than a revival based on wisps of knowledge. Even the most cursory investigation doesn't allow that claim to stand up. Which doesn't mean to say that a Wiccan bride cannot take on the aspect of the Goddess Bride. In fact, it fits perfectly, if you have to pick any Goddess at all, rather than letting the divine shine within her naturally. 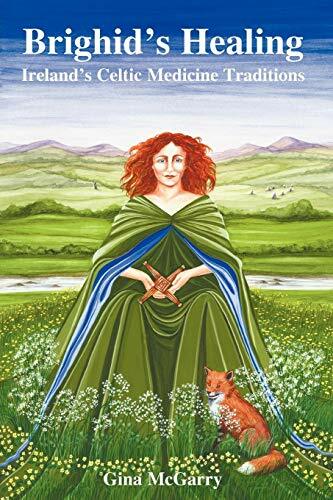 Brighid - as both Goddess and Saint - governs the hearth, healing, poetry/stories, caring for the livestock (sheep, cattle, bees etc. ), crafting, smithing and the threshold of a home. Amongst a lot of other things. She is one of the main Mother Goddesses of Ireland, even if She is most associated with the spring. In short, Brighid is a good Goddess to have around the house. She makes the home! Which is why She can be perfectly aligned with the traditional role of a wife. Wiccans, on the whole, are far more egalitarian about home-making, but no-one can deny that women have been generally viewed as the home-maker throughout history. 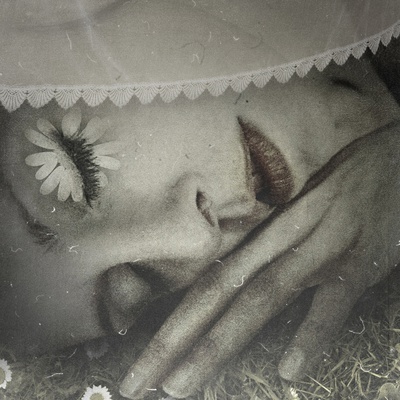 Is the Wiccan Bride actually the Goddess Bride? If she's preparing to take the lead in the daily running of a home, then yes, it works. It also explains why the groom is the recipient. She's symbolically saying that she will provide food for him. But unfortunately, Brigid has nothing to do with why we call a bride by that name, whatever my Wiccan elders told me. 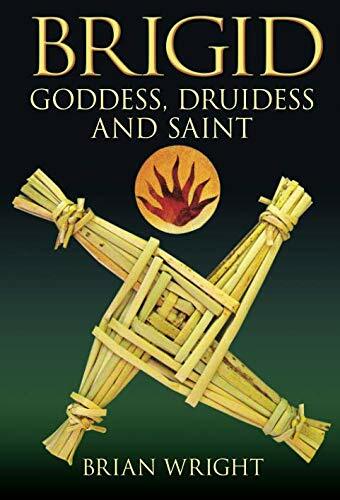 Buy these books to learn more about the divine Brighid and her metamorphosis from Goddess to Saint. Why Are Women Called Brides at Weddings? It's not even Celtic, it's Germanic! The Anglo-Saxons brought this word with them, when they invaded Britain. The word bride comes from the same root as words like brew or broth, which may give you a hint to the meaning here. It comes from the old German 'brū-', which was a verb meaning to cook or prepare food/drinks. Even words like bridal came from a shortening of bride-ale - beer made by the bride. Reverting back to those historical roles, the man would bring the food in from hunting, fishing, farming crops etc. As the house-holder (or hus-band, in Proto-German), he provided the raw materials as part of his husbandry of the land. The bride (aka brewer, broth-maker etc.) would take those raw materials and create something edible from them. This was the partnership. Incidentally, wife originally had nothing to do with marital status. It came from the Old German wībam, then passed through Old English wif, both of which translate as 'woman'. This meaning can still be found in words like 'fish-wife', which denotes a lady selling fish regardless of whether she's married. Husband and wife therefore means house-holder and woman. Groom, on the other hand, has a slightly more complex etymology. For a start, groom and bridegroom are two totally different words with different origins. Groom, on its own, has its earliest meaning as a subservient man, or boy. We can still glimpse this in the sense of groom as someone who looks after horses - a stable boy. Alone of all these words, it's not Germanic. It comes from ancient Sanskrit, where the root word was ghulaam. That meant 'man-child'. Bridegroom is quite a recent word. It wasn't recorded before the 17th century. This one returned to the English/Old German etymologies. The 'groom' part comes from guma. It's this root which also gives us the word human. The human of the person who brews and makes broth is a decent enough translation of the word bridegroom. Which is why it's the Wiccan bride who first blesses the food and drink, and her bridegroom who seals the deal and helps her distribute it. Calling them the Goddess Bride and the Horned God sounds much more exotic! And no-one can deny that they are both downright divine on a day like that. Everything that the Divine Bride will need to know is contained in these pages. If you're being Brigid, you'll also have to learn about livestock. Another fascinating insight into Wiccan wedding ceremonies, it's amazing how little is known about this compared to other religious weddings. Thanks for the information. Although finding out "bride " means cook was disappointing, your articles are really changing my perspectives of marriage!